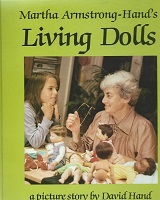 Martha Armstrong-Hand's Living Dolls , A Picture Story by David Hand, Copright 1983 by David Hand. SALE....$3.50 REG....$7.00.....Silk Ribbon Embroidery Fuchsias by Merrilyn Heazlewood, paperback book, 25 pages, published 1992. SALE: Now $3.00 Reg $6.00 Spring Bulb Sampler by Merrilyn Heazlewood, paperback book, 25 pages, published 1992. 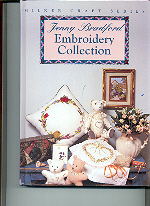 Embroidery Collection by Jenny Bradford, hard back book, 242 pages, published in 1995. A Garden Alphabet In Cross-Stitch by David Bateman, paperback book, 30 pages, published 1994. 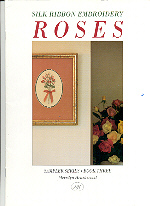 Silk Ribbon Embroidery Roses by Merrilyn Heazlewood, paperback book, 33 pages, published 1992. Silk Ribbon with a Difference by Margaret Barrett, paperback book, 35 pages, published 1995. Beading & Bonding by Kangaroo Press Pty Ltd, hard cover book, 53 pages, published 1993. 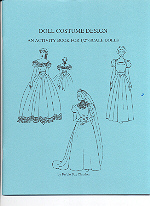 This is for 1/2 scale dolls:.....Doll Costume Design by Ferbie Fox Claudon, paperback book, 29 pages, published 1995. This is for 1/2 scale dolls:.....Tailoring For The Male Doll by Ferbie Fox Claudon , paperback book, 21 pages, published 1996. Coiffures by Sylvia Mobley, paperback book, 47 pages, published 1987. 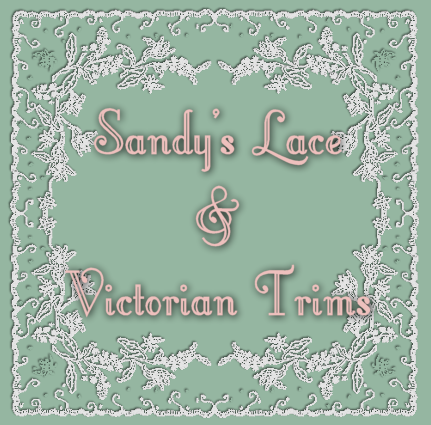 These are new, not used. 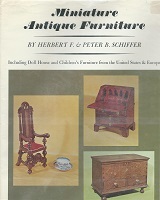 Dollhouses & Dioramas by Robert Schleicher, Paper back book, 175 pages, Published 1980. 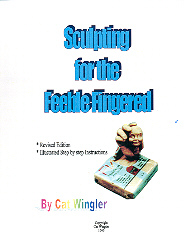 Sculpting for the Feeble Fingered by Cat Wingler, Paper back book, 40 pages, Published 1999. Teddy Bear Artists by Carol-Lynn Rossel Waugh. 196 pages, Paper back book, Copyright 1984. Miniature Rooms The Thorne Rooms At The Art Institite Of Chicago. 168 pages, Paper back book, Copyright 1983. 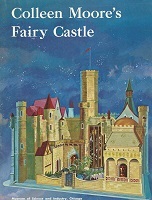 Fairy Castle, Copyright 1964 by the Museum of Science and Industry, Chicago, IL, Paper book, 32 pages. Excellent condition. 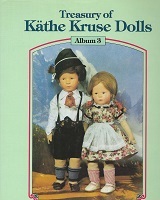 Treasury of Kathe Kruse Dolls By Lydia Richter, Album 3, 1983, Hard back book, 128 pages. Excellent condition. Alexander Dolls, Copyright 1995 A. Glenn Mandeville & Hobby House Press, Inc. 128 pages. 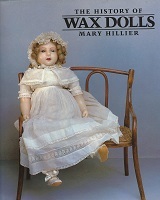 The History Of WAX DOLLS, Copyright 1985 Mary Hillier, Hard back copy, 159 pages. 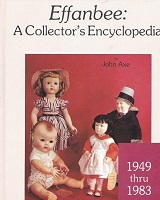 Effanbee: A Collector's Encyclopedia, 1949 thru 1983, Copyright 1983 by Hobby House Press, Inc. 277 pages.